NOW AVAILABLE--THE NEW AND EXPANDED 2ND EDITION!! 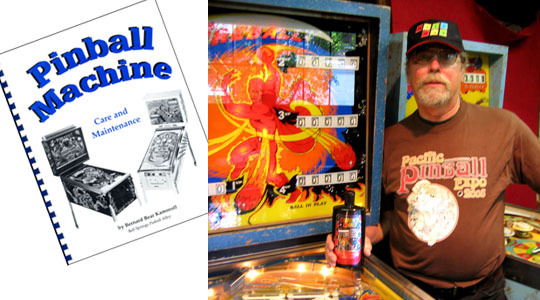 -Pioneer pinball collector and owner of The Pinball Resource. Steve’s Web Site Says It All! As a pinball enthusiast and avid user of Mill Wax, I wanted to wish you and your entire staff all the best with your purchase of the company. Like many pinball enthusiasts, I was aware of the rich history Mr. Petersen and Mr. Reiners had with their endeavors with Mill Wax product development. I am sure I can speak for all the entire pinball community when I say we are ecstatic this fine product is now in your trusted hands. I have tested numerous products on my playfields. I can honestly say that Mill Wax is second to none. I get great results on my 1978 Bally playfields, clear coated or not. I also use Mill Wax on my more modern (post 1990) Bally/Williams playfields and it keeps them looking like they just rolled off the production line here in Chicago land. Bottom line, all my playfields look clean, have great ball roll, have a great sheen which make the lighting radiate, and are protected so my playfields will stand the test of time. The piece of mind I have by utilizing Mill Wax is a direct result of trusting the best pinball playfield waxing and cleansing product out there. Time after time, Mill Wax applications produce end results which any pinball dealer or hobbyist would be thrilled about. 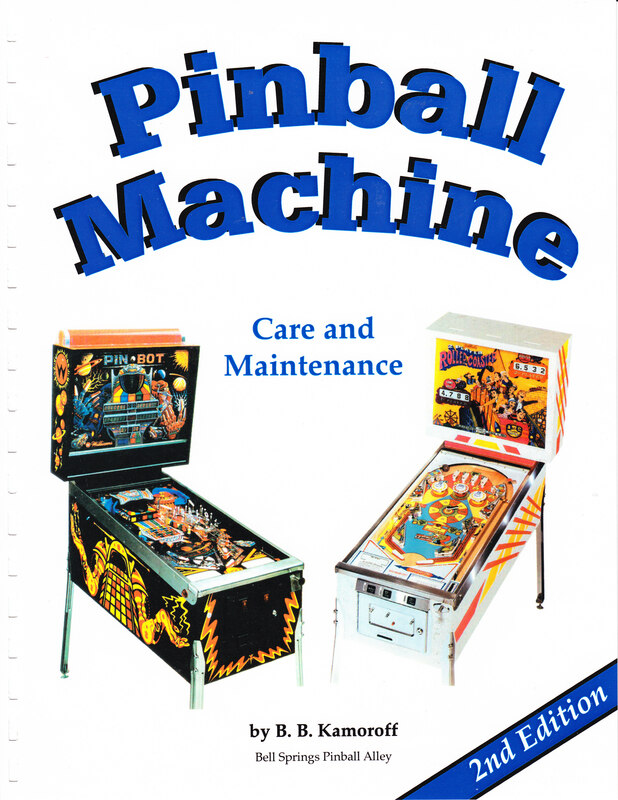 Hey, remember Pinball is only a game. It is however a far more enjoyable game to play thanks to Mill Wax. Please keep up the proud tradition of the company and happy flipping. I just bought my first bottle of Mill Wax after reading the story in GameRoom Magazine [October, 2008] about the history of the 2 gentlemen who started the company, and it’s amazing how wonderful of job it did. I can’t believe I have never heard of this product before, my father used to be an operator back in the 50’s 60’s & 70’s, and then I took over the business and ran it another 15 years and sold out in the mid 90’s. I now save & collect a few pins for my basement bar for my friends & family’s amusement. I recently purchased a Black Knight pinball from my son’s church parking lot garage sale; it was beat up, filthy & not working “naturally”, and looked like a bigger project than I wanted, but patience prevailed. With help from a good friend we got it mostly working, so it was time for me to start in on the clean up. I have always used the Bally’s Wild Cat wax & cleaners, and I thought it did a good job. After the clean up I still had a list of parts I needed mostly lights, light sockets, and a rubber ring set. While on the phone with the Pinball Resource lady she asked if I needed anything like playfield wax etc? I said yeah why don’t you throw in a bottle of that Mill Wax I read about last month. After getting the parts and putting the game all back together, I thought I would re-wax the center of the playfield again with the Mill Wax, and What A Difference!! What I thought was clean and shinny was not even close. The sparkle and sheen was incredible, even the ground in dirt that I thought was now part of the playfield was removed and left with sparkling clean look that just amazes me. You now have a good customer and someone who will tell all his collecting friends about Mill Wax! !